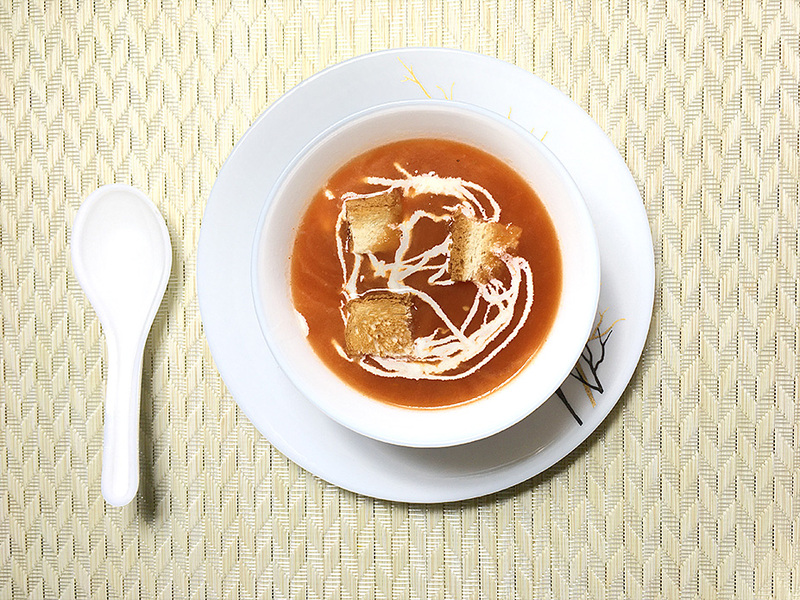 This recipe of tomato soup is one of the quickest and yummiest. Tangy tomatoes with flavors of onion and garlic, combined with cream and crunchy bread makes this warm bowl of soup an instant hit. I guarantee you will not be satisfied with just one bowlful. If you are health conscious, reduce the cream quantity to half, or skip it altogether. A bit of cream, however, is good for the soul. You can also flavor your tomato soup with fresh basil, and avoid the bread croutons. The first noted tomato soup was made by Maria Parloa in 1872, and Joseph A. Campbell’s recipe for condensed tomato soup in 1897 further increased its popularity. Gazpacho: Gazpacho is a tomato soup of Spanish origin, served cold. It originates in the region of Andalucía in southern Spain. Gazpacho is widely consumed in Spanish cuisine, as well as in neighboring Portugal, where it is known as gaspacho. Gazpacho is mostly consumed during the summer months, due to its refreshing qualities and cold serving temperature. 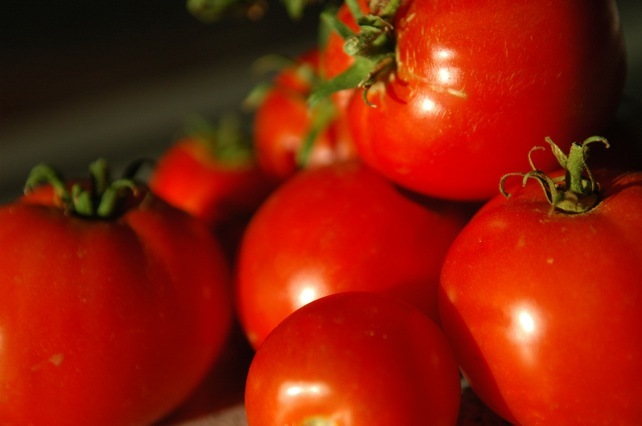 Boil tomatoes, onion, garlic in 4-5 cups of water along with salt and sugar till the tomatoes are completely mushy. While the tomatoes are boiling, toast the bread and cut them in small squares. Your free of oil croutons are ready. Allow the boiled ingredients to cool and puree them, taking care to remove the skin of tomatoes before pureeing. Add pepper. Adjust salt and sugar to taste. Mix half the cream, pour into the bowls, serve with croutons and a dollop of cream on top. I love recipes to try something new! Something could expressed! Perfect recipes are yummy! I love recipes to try something new!